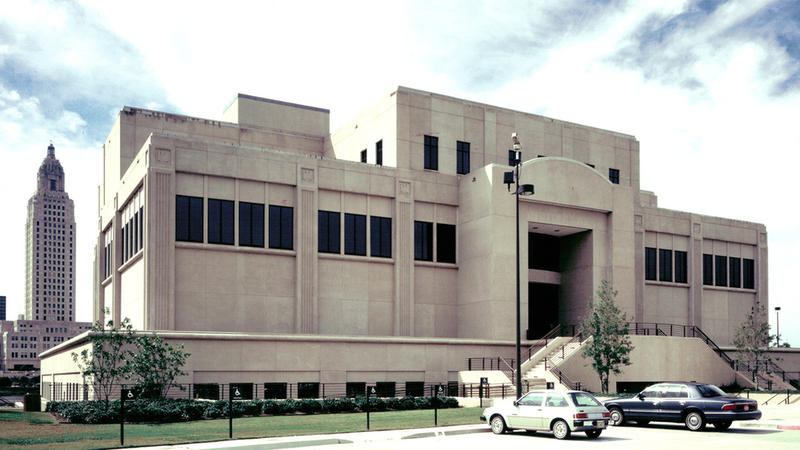 The First Circuit Court of Appeals facility, completed in 1994, was the first new building to be constructed as a result of POST ARCHITECTS expansive Louisiana State Capitol Park Masterplan. The site and building, prominently located across Capitol Lake from the State Capitol Building, were developed on an axis which originates from the Capitol and ties this northern site development into the remainder of the Capitol Complex. The architectural vocabulary includes vertical massing, fluted pilasters, and a bas-relief detail of the state pelican, all in keeping with the Art Deco styling of Capitol Park.